What exactly is an exit plan? According to research, nine out of ten owners stated they do not have a current, written exit plan. Unfortunately, most owners have no idea what should go into an exit plan. Owners need guidance on what a sound plan looks like. The marketplace offers very little guidance too. A thorough and sound exit plan needs to address six (6) areas. If a plan fails to consider any one of these areas, it could not only miss an issue but possibly cause more harm than good. 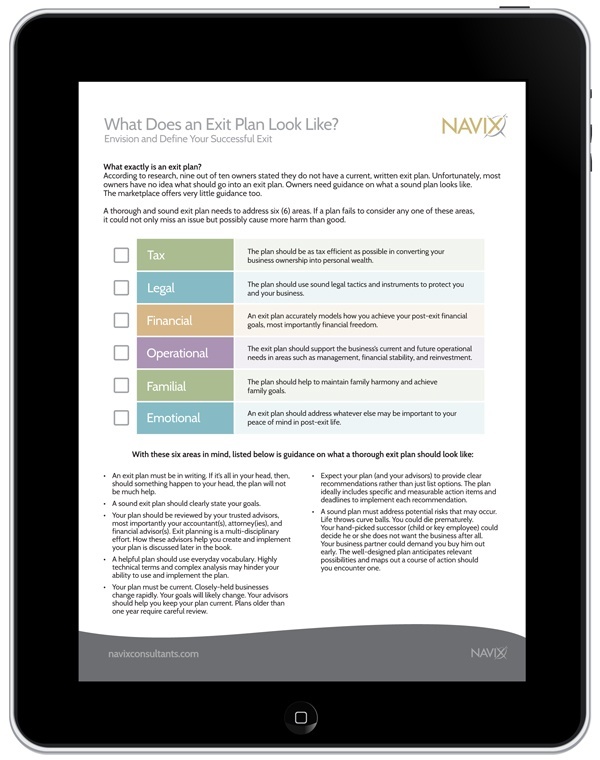 Download What Does an Exit Plan Look Like?